Since his debut 'Grand Opera Lane', released in 1991, Ron Sexsmith has been making album after album packed with incredible songwriting. When you take into consideration Rons' admirers- Elvis Costello, Paul McCartney and Elton John amongst others, it becomes obvious that he's a songwriter at the top of his game. Ron has also had his songs covered by many artists including Michael Buble, Emmylou Harris, K.D. Lang, Feist, Rod Stewart, Nick Lowe and Kate Melua, and has collaborated with Leonard Cohen and Coldplay's Chris Martin. In 2005 he won a Juno award for songwriter of the year. 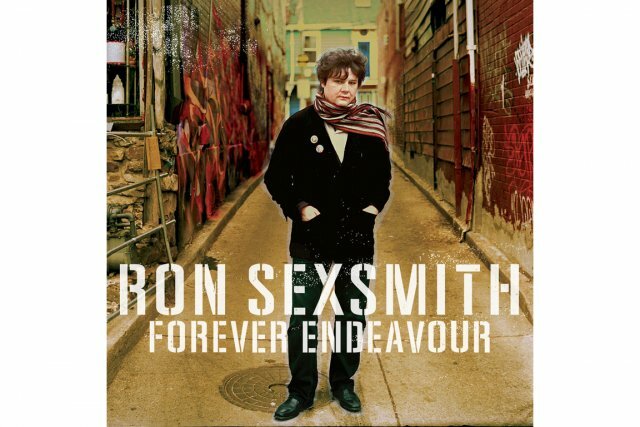 Ron has recently headlined the Royal Albert Hall, and his latest album Forever Endeavour is available now. Do you have a daily songwriting routine or do you wait for inspiration to strike? I have a morning walk everyday where I think about things and hum to myself. Or sometimes I'm working on an idea that I've already started. Do you have any tricks to get the creative juices flowing? Doing mundane things that don't tax the brain too much are helpful such as doing the dishes or walking. I used to write a lot when I was a courier. Do you normally start with melody or lyrics? Every song has it's own circumstances...some start with a lyrical idea, some with a melodic line and some with a chord progression. But it's usually a combination. How long does it take you to write a song?A few weeks or a few months. Generally I'm working on a batch of songs at the same time. Could you explain a little about the writing process behind a few of your songs? I get an idea then I try and follow it through. I want the words and the music to be as seamless as possible. And I want the words to make sense. There's too much "stream of consciousness" lyrics these days. Do you have favourite keys to write in? I love C# and Eb. Do you think technical knowledge of theory is important or does it get in the way? It's all important and knowing the history of songwriting is crucial. Do you tend to revisit your songs and rewrite them? Sometimes. Do you write songs with a view to being commercial and following current trends? Not really, although sometimes in my choice of producer I will. Have you done much co-writing and if so what do you see as the benefits? I've done a fair bit and I have mixed feelings about it. I've had good experiences and dreadful experiences. The benefits are sometimes you end up with a good song that you wouldn't have written otherwise. And as well, sometimes you make a new friend. Who do you view as great songwriters? Who has inspired you musically/ lyrically? All the old songwriters are the best I think... like Cole Porter, Johnny Mercer, Hoagy Carmichael etc. I love Ray Davies, Randy Newman, Joni Mitchell, Bacharach, Paul Williams, Lennon & McCartney, Tom Waits, Bob Dylan..Gordon Lightfoot was a big influence.....Carole King...so many. Do you feel that when there's conflict/struggle in your life that it inspires better songs? It's a good outlet when turmoil strikes but it's not necessary for me. Do you have any idea where your songs come from? From the universe most likely and from having a knowledge and respect for the craftsmanship of it. Do you have any advice you'd like to share with budding songwriters out there? Have a point of view, have an original approach...keep working at it. Click on the following to find Ron on the web. The next artist to be featured on 'Songwriters talk about Songwriting' will be JJ Rosa, so stay tuned. 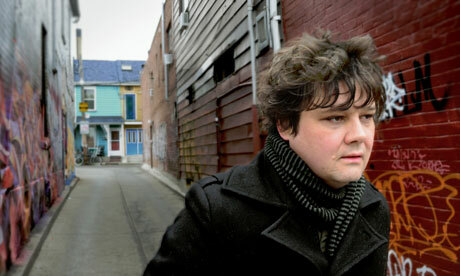 Ron Sexsmith is a brilliant songwriter. Have loved listening to him since my first taste of "Strawberry Blonde".